• The first part focuses on the recruiting process. It takes readers through the recruiting process used by most organizations and examines why cultural differences can throw this process off . The discussion is framed by an introduction explaining what cultural differences are and a description of cross-cultural communication issues and suggested solutions. 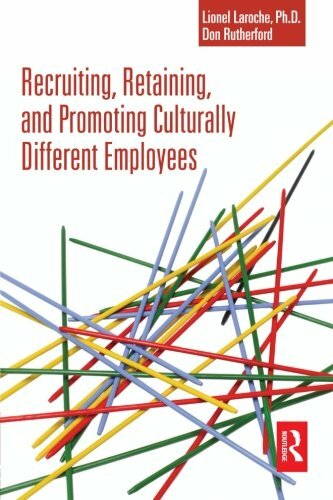 • The second part examines the retention and promotion of culturally different employees. The turnover of culturally different people is often higher than average and they are proportionately less represented in the higher echelons of large organizations. The work examines the root causes of these issues and proposes solutions that individuals and organizations can implement.